LocationLangton House Hotel, 67 John Street, Kilkenny, Ireland. 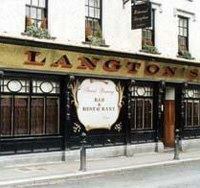 The Hits come back to Kilkenny for the Cat Laughs weekend to play Langtons. These nights are always wild so come early to avoid missing out!